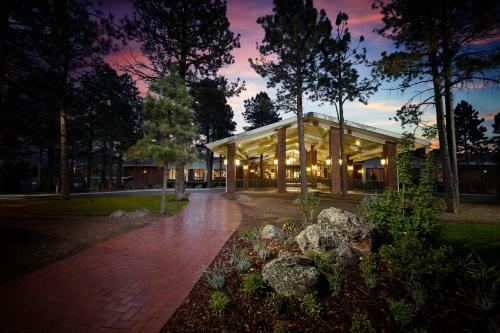 Just off I-40, this hotel is located on 500 acres of Ponderosa Pine forest. Free Wi-Fi is available in all rooms. Free transport services to Flagstaff Pulliam Airport are offered during limited hours. Little America is truly a Flagstaff, Arizona vacation at its best. From our 500-acre private forest to our friendly, knowledgeable concierge staff,Little America exemplifies the adventurous spirit and hospitality of Northern Arizona. What’s more flagstaff than this?